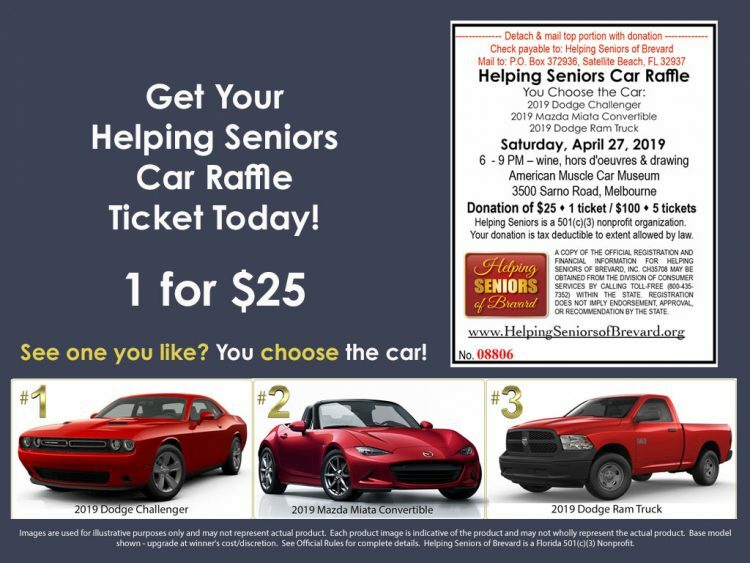 Get your Raffle Tickets today and help us in HELPING SENIORS! 3. 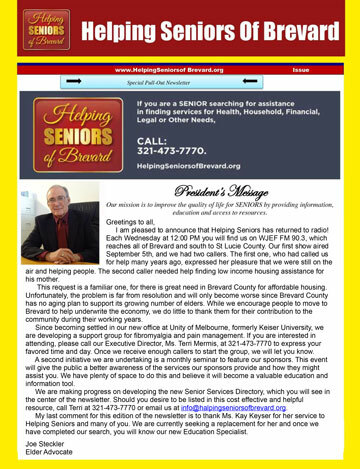 Mail check to Helping Seniors – P.O. 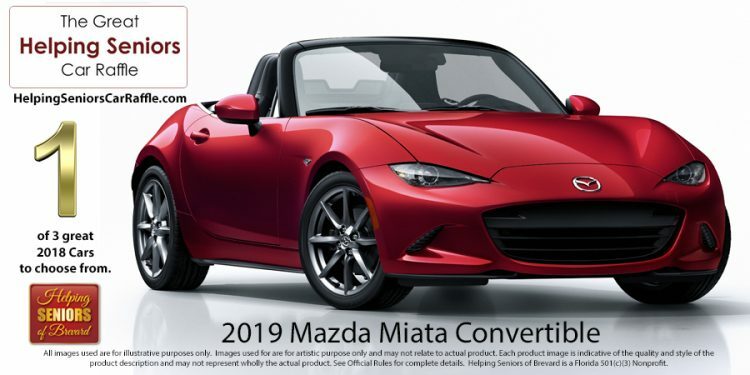 Box 372936 – Satellite Beach, FL 32937. 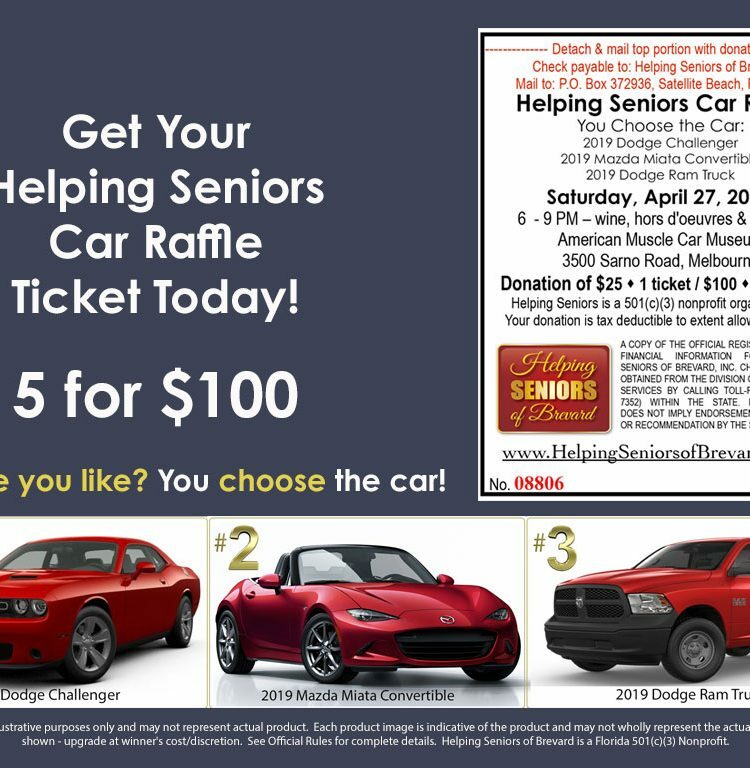 All proceeds fund the work of Helping Seniors of Brevard Inc., a 501(c)(3) Florida not-for-profit dedicated to serving Brevard County seniors via our no-cost Senior Information Helpline, our Senior Information media outreach, and our Senior Advocacy programs. 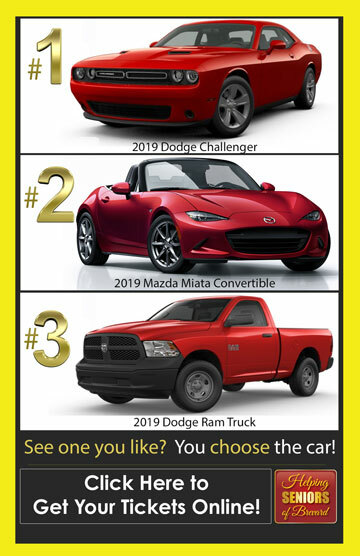 The Car Drawing is set for April 27th 2019 at the American Muscle Car Museum in Melbourne Florida. Need not be present to win.